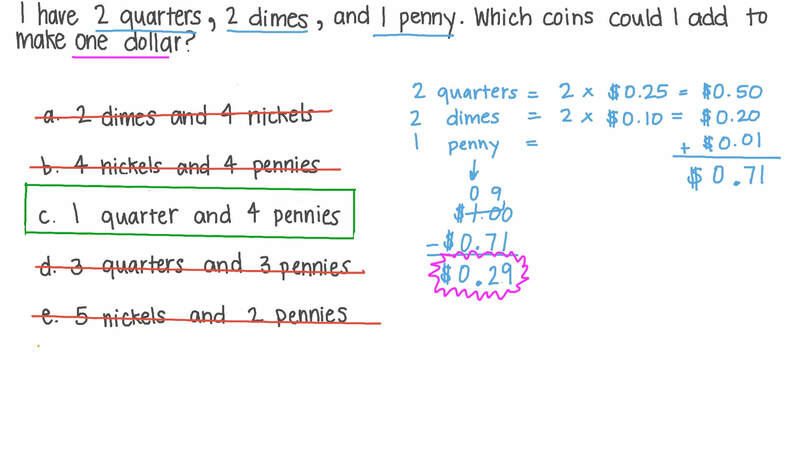 In this lesson, we will learn how to find combinations of coins equal to one dollar using methods such as skip counting. I have 2 quarters, 2 dimes, and 1 penny. Which coins could I add to make one dollar?